I imagine everyone would agree that the most important part of a restaurant dish is taste and flavor. This, of course, encompasses texture, aroma, and appearance, but to most – the intriguing part of enjoyable food revolves around what is perceived as the sense of taste. What separates a remarkable cook from others lies in his or her ability to create consistent, mind-blowing, and memorable flavors. This is the ability that truly defines an exceptional cook or chef. This is what the best restaurants strive to hire, nurture, and promote. The ability to understand ingredients, how they interact, the nuances of taste based on season and terroir, and how to work with seasoning to re-create old memories and build new ones, is something that not every cook possesses. Although some fortunate cooks are born with sensitive taste buds and olfactory senses that allow them to identify the make-up of a dish, most cooks need to work very hard at creating this ability. If an individual is serious about cooking as a life-long profession then it is essential that he or she build a flavor memory strategy. So, how is this accomplished? 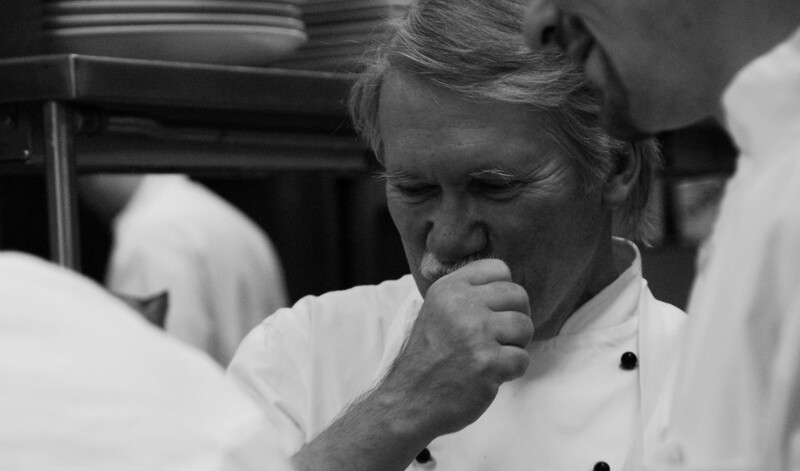 First, and foremost, the cook must be hungry to learn, passionate about knowing, and committed to finding the answers. The cook must begin by dispelling assumptions about ingredients, traditions, and flavors. A carrot is not just a carrot! The seed, the earth, the climate, the caring approach of the farmer, and the handling during and after harvest all play into what that carrot will taste and look like. A cook will never truly understand a carrot until he or she has spent some time working with the ingredient, touching the seeds, tilling the soil, planting the seed, weeding the garden, nurturing the plant, pulling the carrot from the ground and dusting off the remains of soil, washing, storing and eventually tasting the difference based on the source. Is this practical for every cook? Why not? If you are serious about cooking as a life-long career then why not invest in this important part of your education. Even a week on a farm will make a world of difference in a cook’s appreciation and knowledge about the ingredient. Carrots, just like any other ingredient, should not be viewed simply as a commodity that comes off the back of a delivery truck, but rather an essential part of the food experience – a gift from the farmer. Until you have this base of knowledge; until a cook has visited a ranch, feed yard and processing plant for cattle; until a baker has spent an afternoon in a wheat field and a mill; or until a cook has been on a commercial fishing boat – 20 miles off shore – it would be very difficult to really appreciate how important knowledge of ingredients is to the experience of cooking. What is that flavor? Why do some people add a dash of fresh ground nutmeg to a béchamel, fresh rosemary stems to a roast leg of lamb, parsnips to a stew, bone marrow to boeuf a ‘la bourguignon, or spend time to sear meats before braising? Until a cook has answers to questions like these, he or she will find it challenging to build that essential flavor memory that will define who they are in the kitchen. A cook cannot understand what he or she does not experience. Reading about flavor and taste is certainly valuable, but actually tasting, smelling, and chewing on a product at different stages of cooking is what builds useful memory. Everything that we smell and taste is imbedded in our subconscious mind. The more we experience a product, the stronger that database of flavor. An accomplished cook can summon those memories into the conscious mind and thus grab on to the knowledge that will allow them to re-create it. This is an amazing ability that we all have at varying degrees. I can ask anyone of you to close your eyes and stir up the flavor memory of a fresh apple pie coming out of the oven. Try it! You can easily smell and taste that pie right now. If asked to describe it, most people would simply say – apple pie, yet if you had never seen, smelled, or tasted warm apple pie right from the oven it would be impossible to have that memory. A cook or chef can oftentimes know how a dish will taste before it is simply made by accessing those flavor memories and how they would likely interact. Without first-hand experience, this would be impossible. What is remarkable is that this same cook or chef, given less than stellar ingredients (hothouse tomatoes out of season as an example) can determine what to do with them to build to a similar end result. “How can I make this tomato perform in a similar fashion to one that is sweet and full-flavored in July.” This is why chefs can design a menu and know how the individual items will likely taste even before testing the recipes. Building your flavor memory through first hand experiences is critical. The study of concepts like the Maillard reaction (“caramelization that gives food a distinctive flavor through a chemical reaction between amino acids and reducing sugars” – Wikipedia.) will help a cook understand what to do with a dish in an effort to reach a particular flavor goal. Knowing what happens to less than tender meat during braising that breaks down the fibers of the muscle and understanding at what point that happens is chemistry in action. Building this memory is not a “one time only” process – it is a lifetime commitment to understanding and the discipline necessary to seek that knowledge. Once that flavor memory bank is starting to fill up, the cook can envision how to create a dish, how the ingredients will work together in a recipe during the building phase, and what the end product is likely to taste like. This is as structured as an engineer building a drawing of a new structure and knowing how it will support itself. When a cook reaches this point, it is remarkable how they become able to create signature dishes that separate their operation from others. This is when a cook becomes indispensable to a restaurant, and this is when a cook is well on his or her way to becoming a chef. When a cook commits to building a base of knowledge, when he or she commits to a lifetime of building flavor memory, and when that same cook understands how important each of these steps is – then he or she can be set apart as a true professional. This is how a cook masters the trade.